I absolutely loved DEAR CASSIE. This is the companion novel to PRETTY AMY, and personally, I enjoyed Cassie even more than I enjoyed Amy. I connected instantly to Cassie, even when she tries to push everyone away from her.Raw and real, gut-wrenching, this is how YA is written. 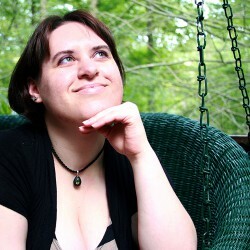 Burstein doesn't shy away from real problems, and it only makes her works stand out more. Her writing is fantastic, poetical at times. 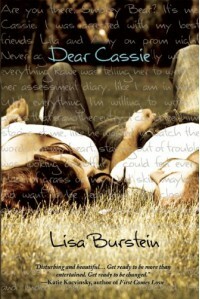 DEAR CASSIE is a must read.----I don't have the proper words right now to express how much I loved Cassie. But it's a lot. Real review coming soon.Bottom line: Read this book.